Electric and acoustic bassist Dylan Johnson has been involved with many styles of music for over twenty years. In addition to having performed extensively on the West and East Coast of the US, he holds a master’s degree from SUNY Purchase Conservatory of Music and completed his undergraduate work at Berklee College of Music. 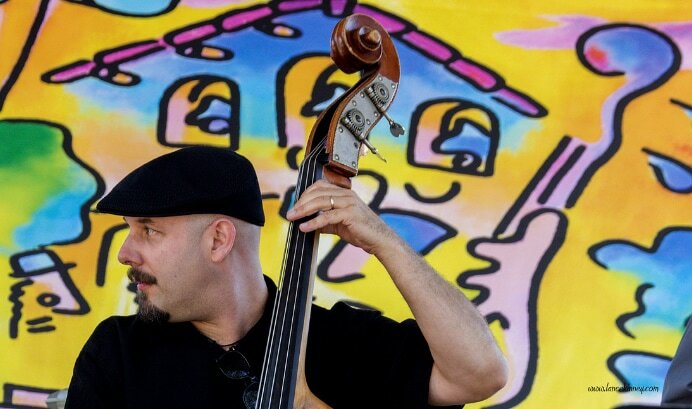 Currently based on the Central Coast of California, he performs regularly with Inga Swearingen, Charlie Shoemake, and often accompanies touring jazz artists in addition to projects in many other styles. He is currently on the music faculty at Cuesta College in San Luis Obispo, CA.